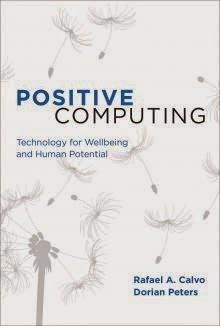 We're thrilled to announce that Positive Computing: Technology for Wellbeing and Human Potential can now be pre-ordered through MIT Press. The press has also been kind enough to offer a 30% discount for early birds who claim their copies now during the pre-order period. We're incredibly honored to have received truly thoughtful and enthusiastic endorsements from Don Norman, Ben Shneiderman, Dacher Keltner, Mary Czerwinski and Steve Whittaker. Download the discount flyer [PDF] or head straight to the MIT Press website and quote the pre-order discount code: MCALVO30.